The Ford Oaks/Mercado Heights neighborhood are small, quiet communities in Southwest Austin that combine the feeling of country living with proximity to shops, restaurants, and family friendly activities. Featuring namesake oak trees, homes in Ford Oaks are some of the oldest in Southwest Austin. 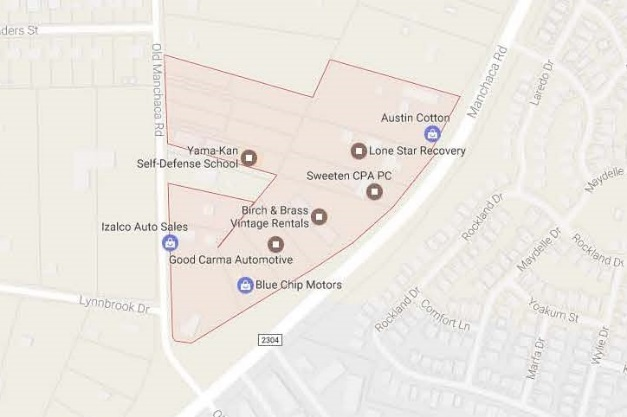 Ford Oaks is located on Gail Street just off West Slaughter Lane, with entrances on both Riddle Road and Old Manchaca Road while Mercado Heights is located between Manchaca Rd and Old Manchaca Rd, just north of where the roads intersect. If you enjoy living away from the hustle and bustle while still enjoying the convenience of accessibility, Ford Oaks or Mercado Heights might just be for you! So… you say you’re looking for “The Austin Experience” way down on the border of South Austin and Manchaca? The Moontowaer compound will deliver! Set in a converted 1950’s ranch house, Moontower Saloon & Trailer Eatery is a dog-friendly venue with a relaxed atmosphere specifically designed for hanging out with friends on one of their many decks, enjoying live music, playing games, or simply enjoying a beverage. The venue has a loyal following and has grown from the 3 to 11 acres- there is plenty of room to park and play. Moontowaer is a fantastic place to organize a sand volleyball game, watch sports while noshing on some some shish kebobs, hummus, or or buffalo wings – and then you can gather your group and take some pics in the photo booth!